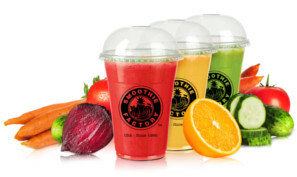 Smoothie Factory - A Fresh Concept in Franchising! 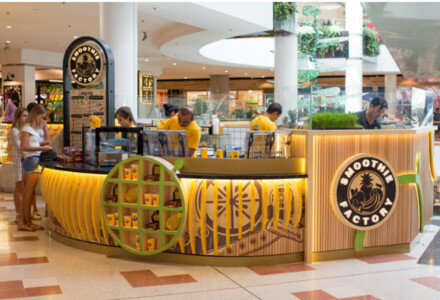 Smoothie Factory is a leader in today's juice bar industry with franchises in over 20 countries around the world making us the fastest growing international juice bar brand. In fact, you might be surprised where in the world you’ll find us. We believe in the simple concept of providing guests with reasonably priced real fruit smoothies, authentic frozen yogurt, freshly squeezed juices, juice cleanse program, and healthy lite foods served quickly in attractive, clean, pleasant surroundings every day. 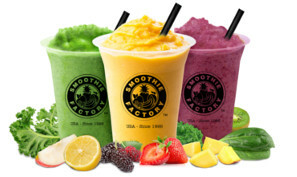 Smoothie Factory is an established, popular, and fast-growing retailer of real fruit smoothies, fresh squeezed juices, authentic frozen yogurt, and healthy lite foods. We believe in the simple concept of providing guests with reasonably priced healthy meal choices, served quickly, in attractive, clean, pleasant surroundings every day. 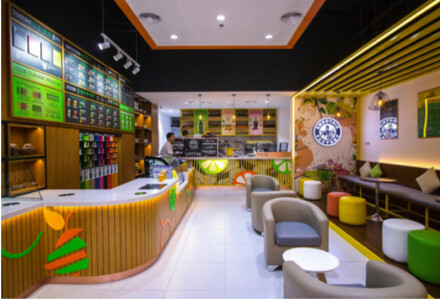 Perhaps the most impressive trait that Smoothie Factory possesses is its desire to continually enhance its franchising system, interior design, and brand image – And in today’s brand conscious society, this can only translate into continued success. 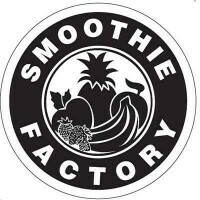 Since the company's founding in Carrollton, Texas, USA in 1996, the Smoothie Factory brand has become recognized for excellence in service, product, and value. With 4 ways to earn income - Smoothie Factory provides a rewarding opportunity! Area Director Income: Your group can offer qualified developers the opportunity to expand the Smoothie Factory brand as an Area Director in markets that you designate. An Area Director is required to pay an area development fee based on the population of the selected geographical territory. We can provide you with free information from Smoothie Factory Master Franchise!